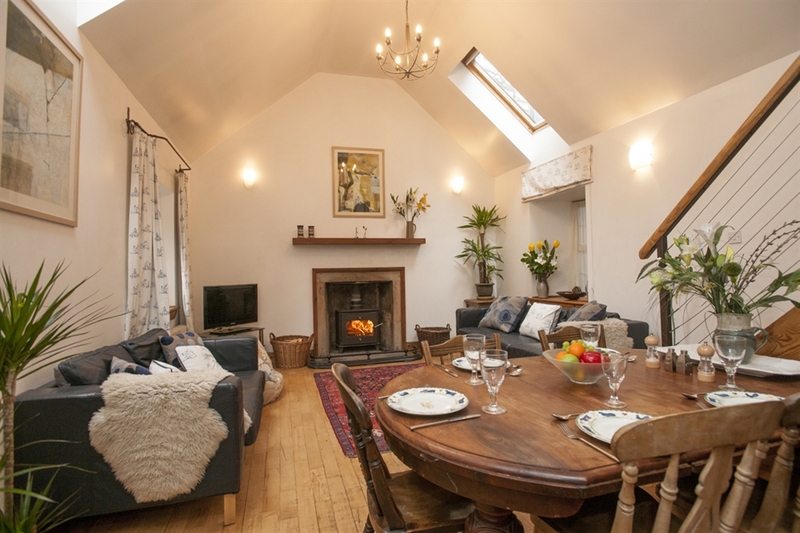 Sleeps up to 6 people with a layout ideal for 2 small families sharing, this award-winning detached 4 STAR cottage offers an authentic hill farm experience. 30 minute drive to Edinburgh with easy parking. Check Availability via owners' site. "From the outside it looks small. But step inside and it opens up like a tardis. 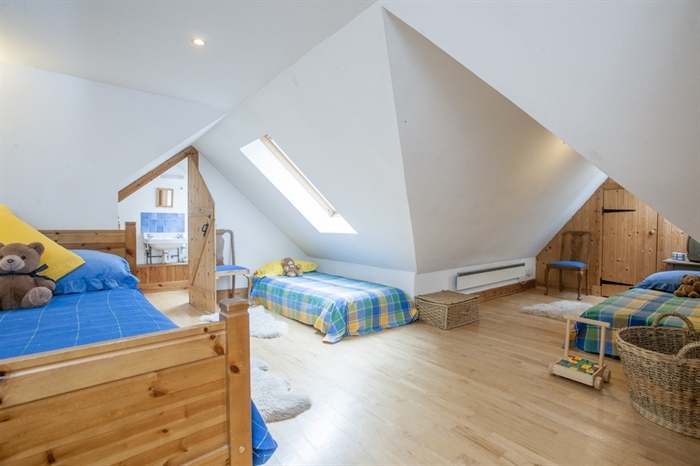 High vaulted ceilings and lots of floor space upstairs on which our children could lay out your toy railway and ideal from the privacy angle for two couples holidaying together. We loved it!" Just one comment plucked from our Visitors' Book telling such wonderful stories. 35 minutes transports guests from rural paradise to the heart of exciting, historic Edinburgh. Within an hour's drive are Glasgow, Rob Roy, Braveheart and Border Country. 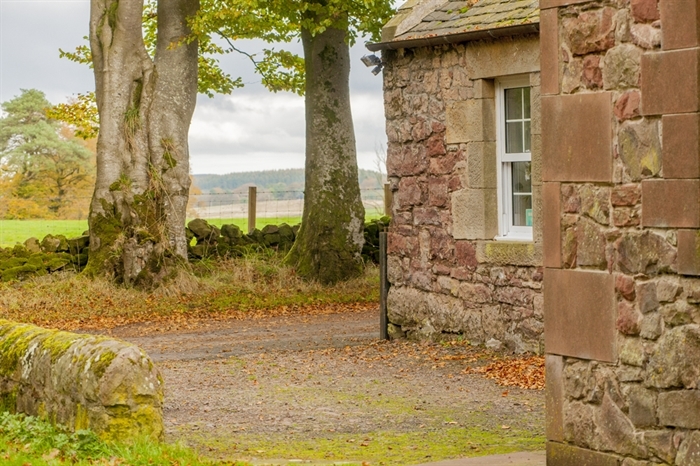 This livestock farm on the Pentland Hills is the perfect place to relax, escape the city crowds, park a car with ease and enjoy the freedom of self-catering. 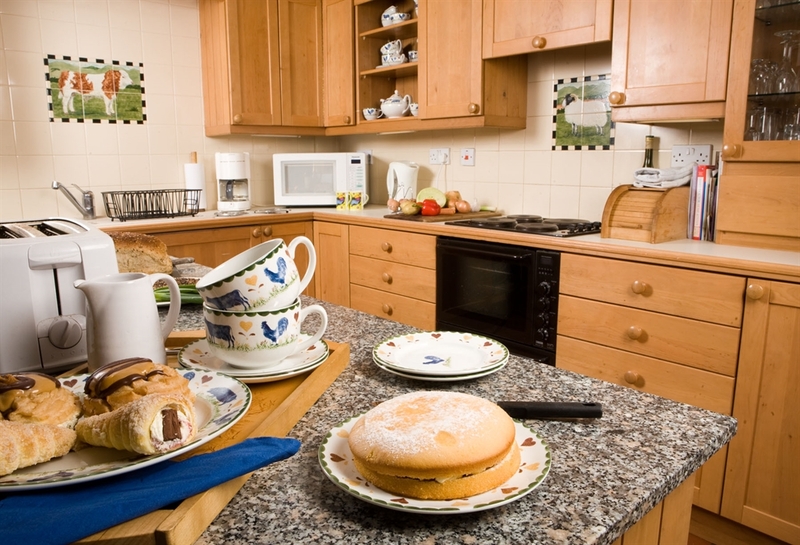 'This cottage is amazing: you've thought of absolutely everything' is a typical comment in the Visitors' Book. 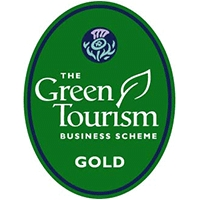 As a 3 times winner of the coveted VisitScotland Award: SCOTTISH SELF-CATERING OPERATOR OF THE YEAR in 2001, 2005 and 2008, and a Regional Winner in 2014 in the prestigious Thistle Awards, the owner of this superb cottage, sleeping 6, gives Customer Care a high priority. The high 4 STAR rating reflects its excellent quality. 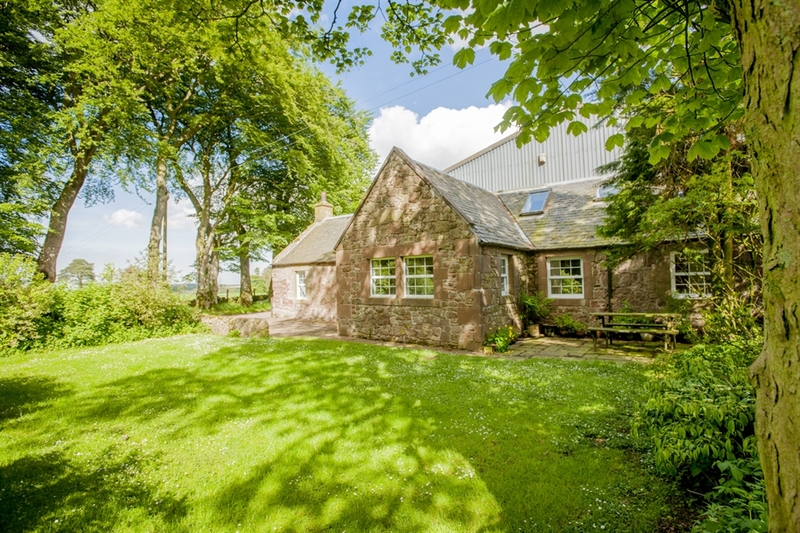 Steading Cottage, nestling right beside farm buildings and a field is the No.1 choice for those happy to be at the heart of the farm. 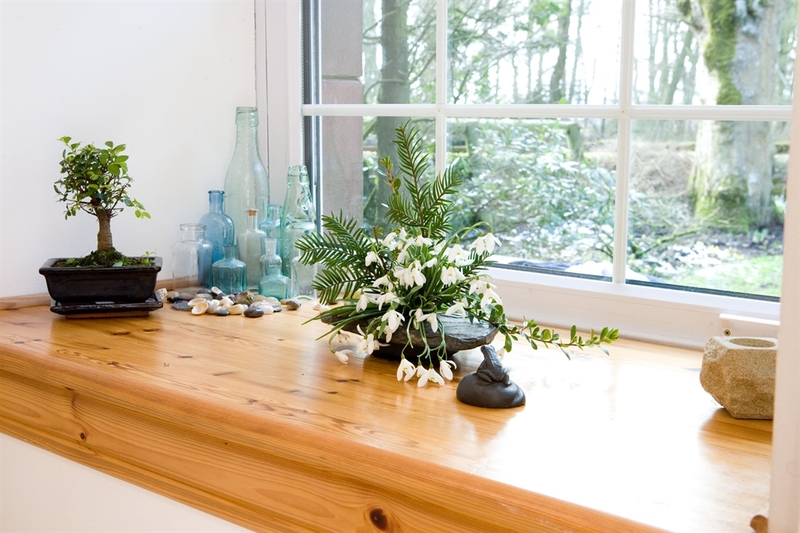 Creatively transformed in 1998 from dereliction into a wonderful home, it is white, light, spacious, inviting and warm, with quality furnishings. 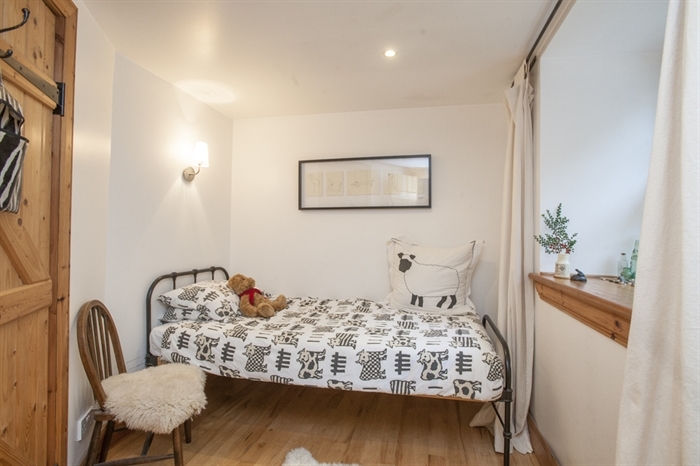 Detached and 2 storey, with ground floor suitable for wheelchairs, it caters equally for the needs of Category 2 disabled and for families with youngsters and dogs. Wide stairs lead up to a small gallery area. 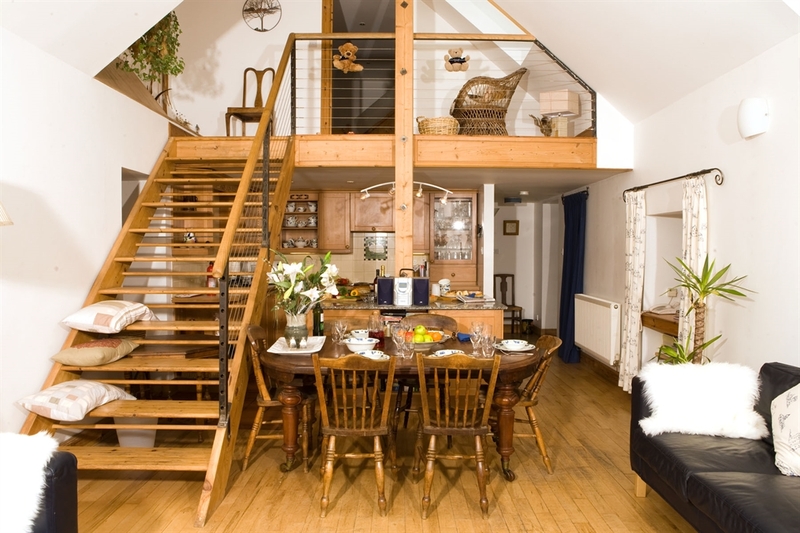 Upstairs, with its own TV, lots of toys and games, is a child's paradise. Please click on the link here to explore the Crosswoodhill website. 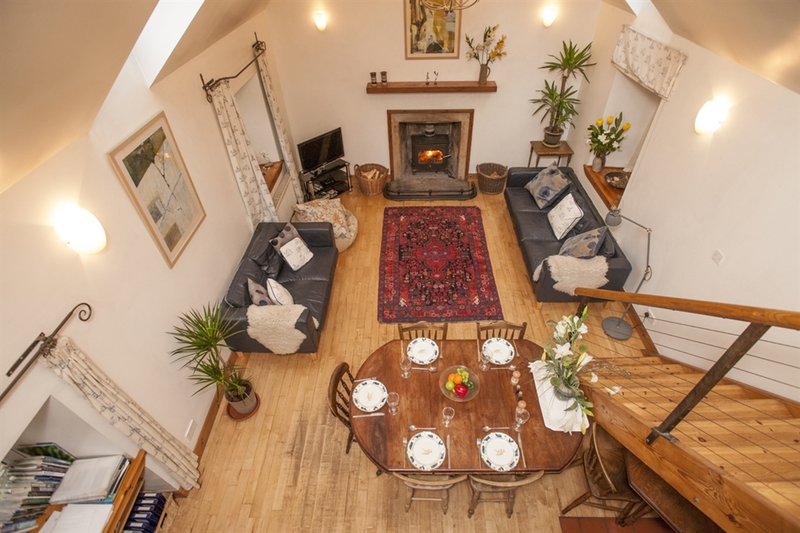 Here you can walk through Steading Cottage via an Interior Image Gallery with over 25 large photos and accompanying text. Check out the space, the facilities, the attention to detail, along with the room layout plan. If you need more re-assurance that this is the right place for you, click on the link to TripAdvisor on the Home Page of the Crosswoodhill website and read what recent guests have raved about. This is an exciting house. Car essential. Welcome! If you email the owner, Geraldine, direct from the Crosswoodhill website, packed with information, slideshows of the interior of Steading Cottage and the surrounding area on the Pentland Hills and West Lothian with diverse towns like Linlithgow and Livingston, she will very promptly answer any questions you have and direct you to the Crosswoodhill online booking form. 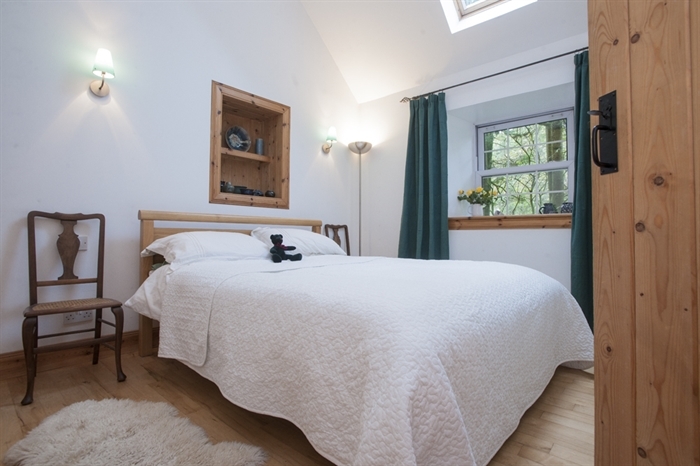 (Weekly Saturday to Saturday bookings are preferred however last minute short breaks will be considered). 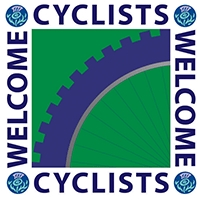 Rental rates are shown on the Crosswoodhill website.PLEASE NOTE THAT IF YOU WISH TO CHECK AVAILABILITY THIS WILL NOT SHOW UP ON THE CHECK AVAILABILITY ICON HERE on the Visitscotland website UNLESS YOU ARE ASKING ABOUT A SATURDAY TO SATURDAY STAY. FOR ALL OTHER DATES CLICK ON OWNERS' CROSSWOODHILL WEBSITE AND A CALENDAR THERE WILL SHOW ALL THE DATES AVAILABLE. YOU CAN THEN ENQUIRE DIRECT WITH THE OWNER BY EMAIL OR PHONE.